List Otezla Tablet, Dose Pack side effects by likelihood and severity. Does Otezla Tablet, Dose Pack interact with other medications? This medicine is a multi-color (3), diamond, film-coated, tablet imprinted with "APR" and "10 or 20 or 30". 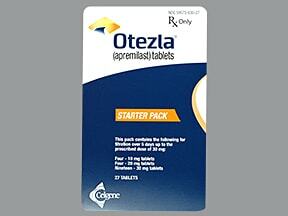 Are you taking Otezla Tablet, Dose Pack? 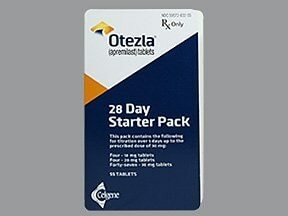 Are you considering switching to Otezla Tablet, Dose Pack? How long have you been taking Otezla Tablet, Dose Pack?